Every week, Making A Mark features an insanely talented person, giving them a little artistic brag space right here on IADW. 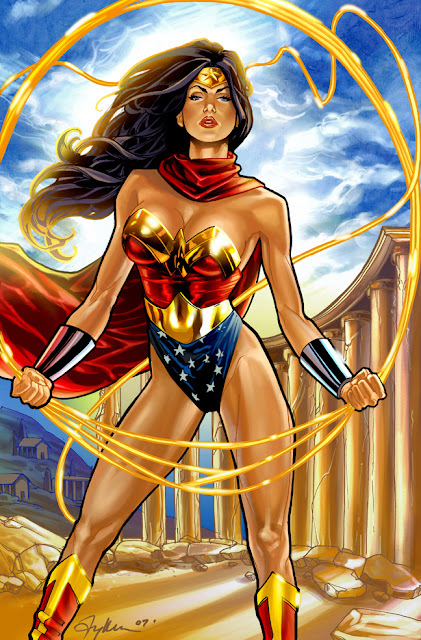 This week, it's the mad female- form-friendly skills of American, Ty Romsa. Go Poison Ivy! Based in Las Vegas, Ty brings all the colours of the desert city to bare here on Batman's environmental seductress. Plus the little touches, like Ivy's hair matching the curls in the bark, make for great eye-popping stuff. 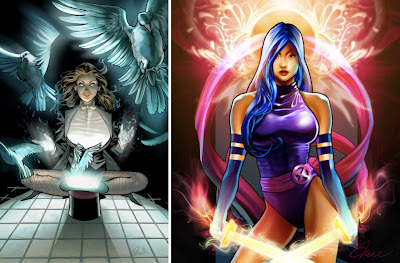 Again Ty's talent with Crayolas steps in to give both Zatanna and Psylocke a whole heap of punch. Zatanna gets more of a haunting glow, while in Psylocke's case, her soft face contrasts against her power to make even Magneto quake. You can definitely see Ty's love of all things Street Fighter there! No doubt about it folks - when it comes to striking females in comics, it's hard to get past Wonder Woman! Peaceful, but already having figured two dozen ways to take you down - would you take her on? For more of Ty's great online gallery, hit the jump. oh man look at those colors! these are all great. 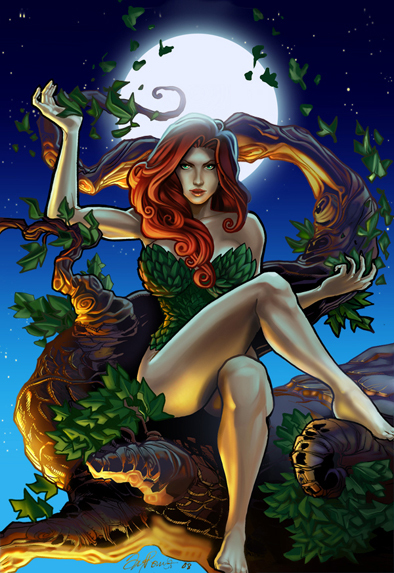 i just can't take my eyes off Poison Ivy's legs! i'd like to see this guy do a rendering of the She-Hulk if he hasn't done so already. As far as villains go, they don't get much better than Ivy. The red hair, the leaves barely covering her bits and pieces, just perfect. Ivy is the best - I think she's up on the Joker / Two Face / Riddler level. And visually well this just shows how that works. I think the legs came out awesome to Dave - has that real Sharon Stone / Basic Instinct to 'em! best line from one of the best movies ever. I say that all the time but nobody gets it. How in the world can people not get that? Are there people left that haven't seen Robocop? That's just...wrong. And I think what makes the legs stand out is the coloring and shading job. It's truly excellent. When my voice was going through that stage that male voices do, I used to get requests from girls to do 'Halt Put down your weapons, or there will be trouble' in deep mode... so that line wins with me by default. Those are beautiful. The colors are amazing! That Ivy takes the stage. Wow IFF - thanks for that link - that Spiderman/Venom tatt is awesome!